After a summer of gestation speculation for Britain’s royal couple, gossip rags and rumor mills can finally give the public a big fat "I told you so!" 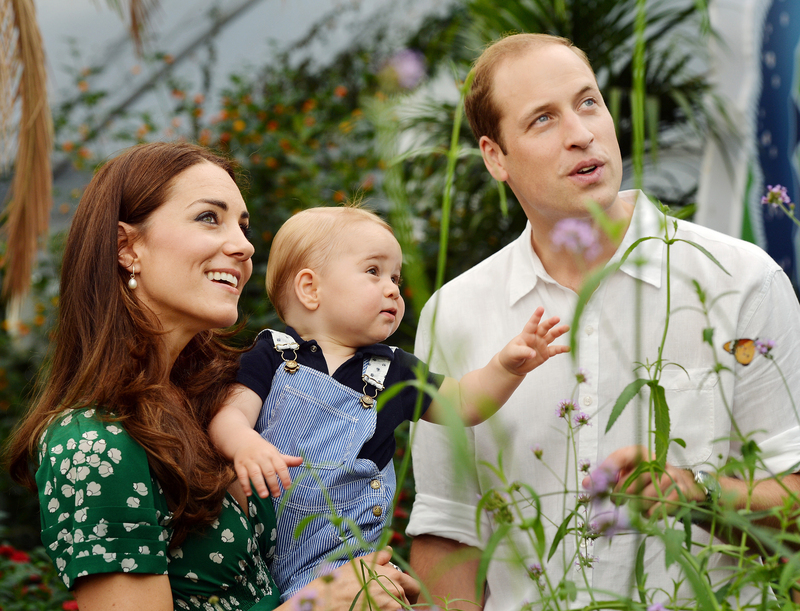 The palace confirms that Kate Middleton and Prince William are expecting their second child. Yep, Kate Middleton is pregnant again, you guys! This is wonderful news because it means, as you probably guessed, that there will be a new plate to add to your royal commemorative plate collection, which obviously includes one from the Royal Wedding and one from Prince George’s birth. These babies will look so sweet side-by-side atop the mantle. But remember when Middleton’s best friend Jessica Hay apparently gabbed openly about the Duchess of Cambridge’s business back in July? It's the second time she's done it, and it's the second time she's been correct. That's right, Hay also revealed Middleton's first pregnancy. If we're trying to mark our calendars for when Middleton might be due with baby number two, could we assume that Hay was right this whole time (again)? If so, Middleton may be further along than you thought. Let's break this down and try to figure out when the new royal babe will be coming, because royal baby fanatics need to know when to buy their tickets to England and how long they might have to stake outside Saint Mary's Hospital to see the newborn. My guess is that Middleton is at least two months along. When she was pregnant with Prince George, Middleton suffered from a condition called hyperemesis gravidarum, meaning she had severe morning sickness which required hospitalization for her to stay properly hydrated and get the appropriate nutrients. This forced the Palace to announce her pregnancy when she was about two months along. It's possible the same condition prompted this second announcement. The Palace is very much about their traditions and habits, so they would naturally treat this pregnancy like the last one. Two months along would mean that she was expecting during her most recent public outing in August with Prince William and Prince Harry at the Tower of London's ceramic poppy installation. Obviously, if she was just in the early stages of pregnancy, we wouldn't see a slope in her midriff. Since then, Middleton's been making fewer public appearances and who knows what will happen with her upcoming solo tour of Malta. One thing's for sure, though: the further along she is, the more she'll wear hats. I think it's Middleton's way to accessorize her baby tummy. Nah, she'd probably wear the hats either way, but keep a look out for when she's further along. When you see some nice Easter chapeaux, the baby will be coming along soon — I get the feeling that the second royal baby is due in April.